Trent Franks, Louie Gohmert, Jim Sensenbrenner: Demogogue-o-rama at the Planned Parenthood hearing. 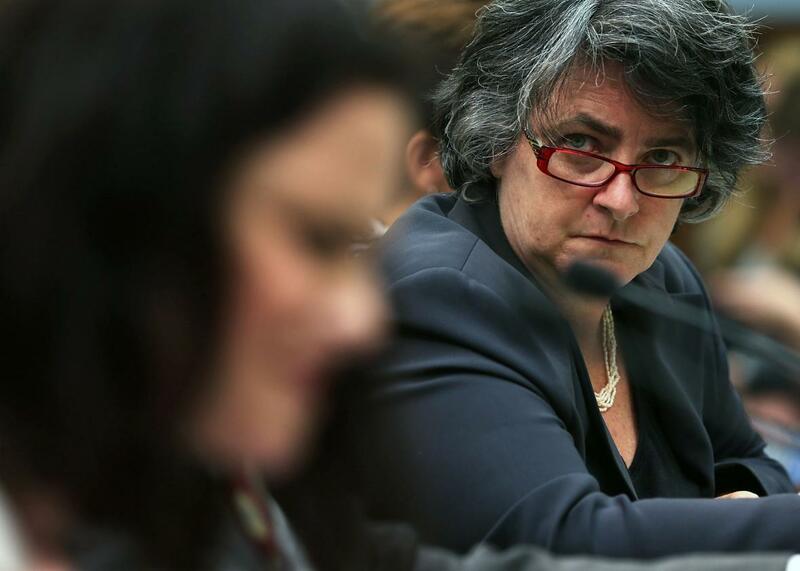 Yale Law School’s Priscilla Smith, the lone pro-choice voice at a House Judiciary Committee hearing on Planned Parenthood on Sept. 9, 2015. On Wednesday, the House Judiciary Committee held a hearing titled “Planned Parenthood Exposed: Examining the Horrific Abortion Practices at the Nation’s Largest Abortion Provider.” The title was a portend of the sober, fact-based examination of the state of reproductive health care in the U.S.—the kind of dispassionate analysis we’ve come to expect from the intellectual heavyweights leading the hearing, such as Rep. Louie Gohmert (who once warned America of a coming onslaught of terror babies) and Rep. Trent Franks (who once suggested that black people were better off during slavery). The committee called on exactly zero witnesses who have any direct experience working at Planned Parenthood, choosing instead a couple of women who claim to have “survived” an abortion procedure that no one does anymore, an anti-choice lawyer, and a Yale law professor who had sensible things to say that no one paid any attention to. You can read the prepared witness statements here, but the hearing was mostly a competition among Republican men to decide who hates abortion the most. I don’t know that I can declare a winner, but there were some strong contenders. Rep. Louie Gohmert. Gohmert started off his epic rant by explaining that he attacks women’s access to health care because he cares about women’s health care. “I see this as a hearing to protect the health of females,” he began. Rep. Trent Franks. Franks focused on post-20-week abortions. “Many of them cried and screamed as they died, but because it was amniotic fluid going over the vocal chords instead of air, we couldn’t hear them,” he said, winding himself up. “It is the worst human rights atrocity in the history of the United States of America.” he added. Facts not in evidence: Only 1.2 percent of abortions take place after the 20th week. Medical experts believe that the ability to feel pain only develops in the third trimester. The idea that fetuses “scream” in the womb appears to come from the ‘80s era bit of religious-right agitprop called The Silent Scream. Sensenbrenner’s concern for the well-being of actual children, as opposed to hypothetical children, was refreshing. It is apparently also a recent development. Sensenbrenner got a paltry 10 percent rating from the Children’s Defense Fund and has voted to strip billions out of food stamp funding and against expanding health care coverage for children. That’s right: If you are among the 1 in 5 American women who will visit a Planned Parenthood clinic in her lifetime, there’s a congressman in Wisconsin who doesn’t think you can be a mother. Sensenbrenner seemed sincerely confused on this point, and perhaps there is no better proof of the right-wing’s diabolical success in making Planned Parenthood synonymous with abortion.